In recent years, the competition in the ceramic tile industry has intensified. With the rise of oil prices and raw materials, some low-end manufacturing companies have gradually been eliminated. With the saturation of the low-end market, the high-end market has shown tremendous business opportunities. Brand enterprises are accelerating the research and development of high-end products and seizing high-end markets. Very broad. Tiles are trendsetting fashion materials in home dÃ©cor. China's ceramic tile products have many varieties, large quantity, good quality, high-medium and low-end products, large choices, and reasonable prices. Many countries and regions in the world are very interested in Chinese tile products. Tile industry's high-end market has a bright future. Recently, due to the increase in production costs, it has had a profound impact on the development of the domestic tile market. In order to gain market share, there is a large building material market with special tiles. 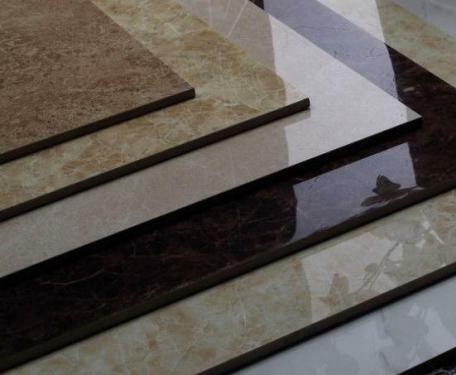 However, the rise in raw materials and oil prices has given the ceramic tile industry a lot of pressure, so that the original product prices can be very low pressure can no longer afford cost pressures, especially some low-end products with little profit margin, are at a loss and This sales, the industry reshuffle gradually intensified, some companies with low value-added, profit margins are eliminated, and brand businesses are increasingly concentrated. At present, the low-end market for tiles has become saturated, but there is a huge opportunity behind the high-end tile market. A few years ago, a crazy price war strategy made many tile varieties almost non-profitable. Some high-end brand products have successfully created their own brands due to the higher difficulty of imitation, and it is difficult for other companies and products to â€œclonâ€ and the profit margin is relatively good. So now whether it is first-line brands or emerging brands, they are vigorously developing some new high-end products. Ceramic tile designs are advancing towards fashion, retro, and natural ecology. The momentum is swift and violent, and new products are emerging, and the quality of products is also becoming increasingly high-end. .
Now that Chinese tile companies are aiming at high-end markets, emphasizing on adjusting product structure and increasing product added value, they also take into account the overall interests of the industry, vigorously develop some new high-end products, and gradually move closer to the high-end market. Brushless DC fans are usually available at three nominal voltages: 12V, 24V and 48V. If the system has regulated power supply in one of these, then a brushless DC Fan may be selected which will give the exact performance required, regardless of the AC input variables which plague AC fans. Because the speed and airflow of a typical Dc Fan is proportional to the voltage supplied, a single product may be used to meet different applications by setting the supply voltage to what will give the desired airflow. The voltage range that may be applied to the fan to assure satisfactory operation is dependent upon the individual fan design and may be as small as 10-14V for 12V units and up to 12-56V for 48V units.Because brushless DC fans has many advantages, such as energy saving, stepless speed regulation, quiet and long life, it has been widely applied in many new building projects, and is gaining more and more recognition and favor from the market. Welcome you can visit our Factory.For inquiry,Please send mail directly to us.